REGISTER NOW SELLING OUT FAST! Looking for a one-of-a-kind summer camp experience for your child? Look no further! PRESS PLAY to dive into the sights and sounds of a week at Camp Rainbow!! Back for its fourth year, Camp Rainbow offers first-class musical theatre instruction paired with active summer fun in the pathways, pool and playgrounds of beautiful Kildonan Park. 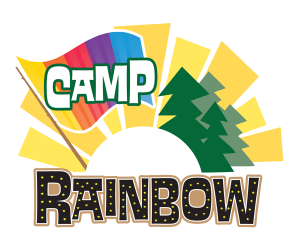 Spaces are filling up fast, so visit www.rainbowstage.ca/camp/ to register for Camp Rainbow and be part of a summer experience like no other! If you think you know the story of CINDERELLA… think again! With a charming array of new characters and surprising plot twists, combined with the cherished songs and beloved figures of Rodgers + Hammerstein’s classic musical, it’s certain that our extraordinary Cast and Creative Team’s fresh take on this timeless fairy tale will leave you absolutely spellbound! This summer join our spectacular all-Manitoban cast as they follow the feisty and courageous Ella on her quest to meet Prince Topher and save their kingdom from falling into the hands of the devious Lord Chancellor Sebastian!